Are Messianic Jews Not Expected to Practice Judaism? Question: Is formal conversion really necessary to be considered part of the Jewish people? After all, so many synagogues welcome non-Jewish members and so many rabbis sanction interfaith weddings. Answer: It’s true that Jewish communities have become more inclusive of non-Jews, particularly non-Orthodox synagogues. Many Reform and some Conservative synagogues grant membership to non-Jews, Reform and Reconstructionist rabbis will officiate at interfaith weddings, and some Jewish cemeteries will grant burial rights to non-Jewish spouses. No, I’m not considering converting, but this particular question and answer has bearing on a theme I’ve been addressing this week. You could consider today’s “meditation” to be a “Part 3” to my Upon Reading a Rant and Diminishing blog posts. The theme I’ve been discussing has to do with the relative roles of Jews and non-Jews within the modern Messianic Jewish (or just “Messianic”) community. As the comments section of my blog posts indicate, opinions vary widely. However, in the above-quoted question and answer, I see a sort of “marriage” between the two major viewpoints, an illustration of how a non-Jew can be part of the Jewish “family” as such. We have to remember that this discussion or something like it, was taking place nearly two-thousand years ago. It was occurring in the synagogues and other communities established by the Apostle Paul as he endeavored to find a way for the Jewish and non-Jewish disciples of Messiah Yeshua (Christ Jesus) to co-exist in a mutually shared Jewish environment as co-equals (and please recall what I’ve said before about equality not requiring uniformity). But there’s a distinction between the Jewish communities mentioned in the article I cited above and Messianic Judaism today. In all of the other Judaisms, it is well-known that they are first and foremost, Jewish communities, and that being a Gentile who is a participant in those communities does not automatically make the Gentile identical in form and function to the Jewish people in membership. The big issue that seemingly separates the Judaisms described above from Messianic Judaism, is the assumption by Gentile believers who are among Jews who have sworn fealty to the Moshiach, that by virtue of such a faith, all differences and distinctions between Jewish and Gentile disciples are rendered moot, and the ekklesia ceases to be a Jewish community in favor of a Messianic community, as if the two concepts are mutually exclusive. And yet, we forget that the ekklesia of Messiah began most forcefully as a Jewish community, one in which few if any Gentiles were to be found. So then, those [Jews] who had received his word were baptized; and that day there were added about three thousand [Jewish] souls. They were continually devoting themselves to the apostles’ teaching and to fellowship, to the breaking of bread and to the prayers. And the Lord was adding to their number day by day those [Jews] who were being saved. All Jews, all living, working, and glorifying God together in Jewish community. No one batted an eye and in fact, the only upset occurred when Gentiles started to enter the mix in great numbers. The next Sabbath nearly the whole city assembled to hear the word of the Lord. But when the Jews saw the crowds, they were filled with jealousy and began contradicting the things spoken by Paul, and were slandering him. Paul and Barnabas spoke out boldly and said, “It was necessary that the word of God be spoken to you first; since you repudiate it and judge yourselves unworthy of eternal life, behold, we are turning to the Gentiles. The tale of Paul’s encounter at the synagogue in Pisidian Antioch is well-known, although most Christians are taught that these verses indicate Paul’s permanently turning away from the Jews to the Gentiles, which is patently untrue. Nevertheless, this is a portrait of the extreme difficulty that many Jewish communities had in understanding the New Covenant imperative of including the Gentiles in the community of Messiah without having them undergo the proselyte rite as formal initiates into Judaism. In all this, I am not saying that Gentiles and Jews in Messiah cannot co-mingle and cannot share community. I am saying that it is not strange, bizarre, or even unBiblical to understand that community, the Messianic community, as distinctly Jewish. To find out more about how Jews and Gentiles in Jewish community finally didn’t work out in the late First Century CE, please read Zetterholm, Ancient Antioch, and “Honey, I Want a Divorce”. 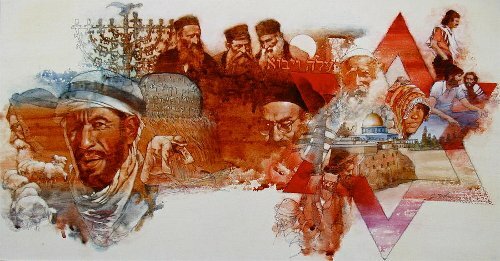 It’s fairly easy to understand why “Messianic Gentiles” of one sort or another might object to the idea that Messianic Jews have a right to Jewish community and even a right to Jewish rituals, practices, and religious objects based on the long history between Christians and Jews, but what about Messianic Jews who object to this way of thinking? No, I’m not talking about Messianic Jews who are willing to share their communal space with Gentiles with the understanding that Jewish and non-Jewish roles within the ekklesia are, by definition, differentiated. I’m talking about those few Jewish individuals who truly believe there is one and only one single application of the mitzvot for all populations everywhere and that Jews are not distinct in any behavioral or covenantal sense. Question: I recently saw a “Jewish” professor speaking at an anti-Israel rally. When I voiced my disgust to a friend who knew him as a child, I learned that his parents converted to Catholicism back in Europe, he never had a circumcision or a bar mitzvah, and he is married to a non-Jewish woman. He claims in his speeches that he is a Jewish son of a Holocaust survivor. He may be the son of a survivor, but can we say once and for all that he is not Jewish? This may not seem applicable but hear me out. There are Jewish people who have come to faith in Messiah (or in Christ, as it were) who truly struggle with the apparent dissonance that results from being Jewish and being a Christian. After all, the Church generally teaches that you can’t practice Judaism and Christianity simultaneously. Actually, that part is probably true, but the underlying message is that you can’t be Jewish and be a Christian. You have to choose one. Messianic Judaism, to many Christians, seems like a messy “mash-up” of the two faiths (many Jews see it that way, too), a way to “pretend” to be one while actually being the other. But interestingly enough, Christianity was “invented” by Gentiles starting in the Second Century CE and beyond (see my aforementioned review of Zetterholm) and the original faith in Messiah has always been Jewish. Hebrew Christians and Hebrew Roots Jewish people have the same struggle from two different directions. They both do not believe that “Judaism” has much if anything at all to do with faith in the Jewish Messiah. While they can acknowledge (and I could be stepping into deep doo doo expressing this opinion since I’m not Jewish) their Jewish ancestral and “DNA” heritage, there’s a difference (for them) between being Jewish and practicing Judaism. For them, faith in Messiah transcends Judaism and becomes something else entirely. So in this, Hebrew Roots is in agreement with traditional Christianity, though their expressions are quite different. And so, in a twisted way, he expresses his Jewishness by being the anti-Jewish Jew. Yes, he is using his Jewishness as a weapon against Jews. No, he should not be invited to speak at any Jewish event. But yes, he is a Jew. People like that can do a huge amount of damage. But the biggest damage is to themselves. Here is a Jewish soul yearning to connect to Jewishness, who has blocked his own path. Here is someone whose primary preoccupation, whose main claim to fame, is his Jewishness, but a tormented Jewishness. Rather than embrace it, he fights it. He is an accomplice in his own persecution. While the “anti-Jewish Jew” in question doesn’t exactly fit the circumstance to which I am writing, there is an approximate match. I do not believe that you can separate being Jewish from practicing Judaism if you are at all a religious Jew in Messiah. Yeshua observed the mitzvot faithfully. So did his brother Jacob (James). So did Peter and the other apostles who walked with Yeshua. So did the later apostle Paul, emissary to the Gentiles. So did tens of thousands of other Jews in Messiah who were all zealous for the Torah of Moses (see the previously quoted Acts 21:20). Practicing Judaism today is not like practicing Judaism in the days of the apostles. Practicing Judaism in the days of the apostles was not like how it was with the Prophet Daniel in the Babylonian exile. Practicing Judaism was also different in the days of Solomon, in the days of David, and it was different in the days of Moses. Torah is Torah and the Word of God is permanent and inviolate, but how it is interpreted and applied across the wide tapestry of Jewish history is changeable and adaptable. The method of allowing non-Jews to join the assembly of Israel for example, has undergone much change since the days of Moses and Aaron, and it has changed again since the days of Paul, Peter, and James. Of course, accepting the idea of the modification of the application of Torah is contingent upon the belief that God authorized or at least permitted the Jewish people to make such adaptations due to changes in circumstance and environment, particularly as related to the passage of time. Assuming this is true, then the current varieties of practicing Judaism are no less valid than they were Apostolic times. Are they all “right”? Probably, at least in the same sense that different Christian denominations are also all “right” (though it might be more accurate to say that none of them are completely right or completely wrong relative to their interpretation and application of the Bible). I can’t throw out the baby with the bath water, though, whether it be in the case of Christianity or Judaism. Jesus taught and worked within the Judaism that existed in his day. He may have criticized specific teachings and practices, but he didn’t dismiss those Judaisms as entire ways of life with a wave of his hand. He accepted that these people were Jews and that by and large, especially when it came to the Pharisees, their overall teachings and halachah were acceptable and authoritative. Jesus didn’t preach the destruction of Judaism with the idea of replacing it with “the Church” as Christianity teaches, nor did he believe Judaism (for Jews) should be replaced with anything else, as far as I can tell. 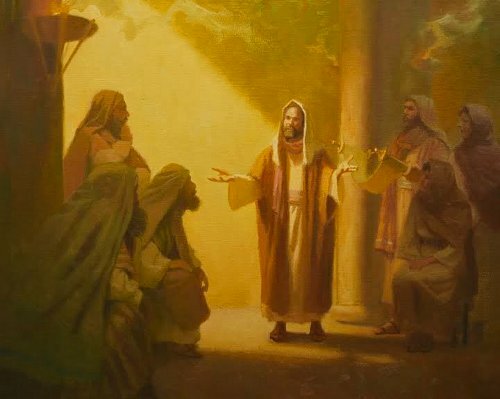 Otherwise, he wouldn’t have operated within the normative Judaisms of the late Second Temple period nor would he have permitted the Jewish apostles to do so after his ascension to the right hand of the Father. With all that in mind, why do both Jews and Gentiles in the Hebrew Roots system of belief insist that Jesus wants the destruction of the practice of observant Judaism among Messianic (or any other kind of) Jews now? Previous PostDiminishing the Moon and IsraelNext PostWho is Honored on Sukkot? The Hebrew Roots movement is probably 100% non Jews. It’s my experience that the HR movement is extremely anti-Judaism. Notice I didn’t say anti Jewish. I’m a Jewish believer and from my youth have been brought up in the traditions. This doesn’t mean that traditions becomes law per say. It’s my cultural heritage which I’m comfortable with. This heritage doesn’t go away with being ‘in Messiah’. With that being said what do you do when you have a Messianic Jewish synagogue which the core is Jewish and the majority if non Jewish? In the Acts 13 section, you quote the verse as saying God-fearing proselytes, then you commented that they did not undergo the proselyte rite. This seems somewhat contradictory. I’m sure the problem is the word proselyte. It might be a good idea to define proselyte in context. @Marc: I’ve met a few Jewish people in Hebrew Roots, although the vast majority of them were raised either in secular or traditionally Christian homes. This probably accounts for their general lack of knowledge of Jewish cultural norms related to the mitzvot. A Messianic Jewish synagogue with the Jewish core and a majority membership of non-Jews. Sounds like that would be the norm, at least in the U.S. My guess is that the traditions for a number of activities would need to be adapted. For example, if there weren’t enough Jews for a Minyan, you’d have to decide if you want to include Gentiles so you could have a Torah service on Shabbat. If you have a Torah services but don’t have a Jewish minyan, then you’d have to decide whether or not to allow Gentiles to have aliyot. David Rudolph’s and Joel’s Willitts’ book Introduction to Messianic Judaism contains numerous articles written by Messianic Jews and Gentiles and some of them address this issue. It’s a highly complex subject but I think the book does a good job at exploring all of the facets that need to be discussed. You might want to check it out if you haven’t done so already. @Cindy: In Acts 13 the Pisidian Antioch synagogue wasn’t “Messianic”. The proselytes involved were those who were converted/converting within another branch of Judaism. Only in the Jewish religious branch of “the Way,” which Paul represented, were Gentiles allowed to be considered co-equal participants without conversion. In all other synagogues of that day, Gentiles in attendance were either proselytes of “God-fearers,” Gentiles who did not intend to convert, but who recognized that the God of Israel is the One God and chose to worship Him within a Jewish context. The MJ/HR movements are going through natural growth pains, as did the 1st century Netzrim. Acts speaks to Paul bringing the Gentiles into the synagogues to teach them. It speaks of the angst of the Jews, because the Gentiles outnumbered them. The word “jealous” is used (not in a good way). I see it this way: If a synagogue is located in Israel, no matter the circumstances, it will be almost wholly attended by Jews. But when a synagogue is located in a Gentile nation, if something extraordinary happens to attract Gentile attention, just by shear math the Gentiles would outnumber the Jews. That’s what happened with Paul; and that’s what is happening today with Western Messianic Judaism. 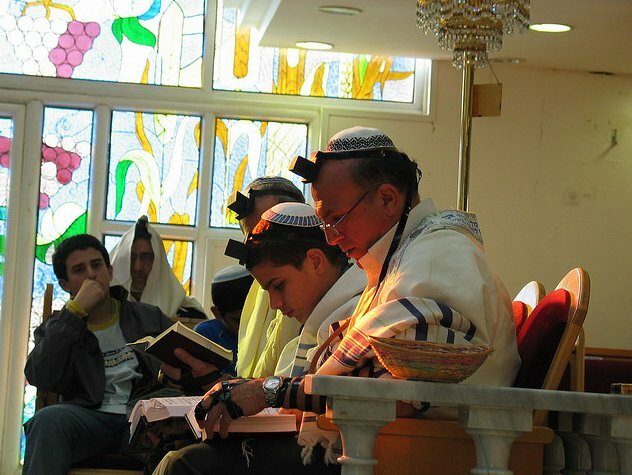 In Israel Messianic synagogues are almost wholly attended by Jews…because that’s who lives in Israel. In the Western world Gentiles vastly outnumber Jews. And something radical has taken place to garner Gentile attention. Paul’s solution was to integrate the Gentiles into the synagogue. But to his chagrin, the Jews, feeling outnumbered, and fearing the possible gentilization of the synagogue, kicked them out. I believe Paul was right in his attempt. I believe that those Messianic synagogues that have the same attitude of the synagogues in Acts are wrong. But I also believe that if Gentiles wish to be accepted in any means by Messianic Judaism, they must eschew their pride, and acquiesce to the protocol of the synagogue. One of the biggest arguments of Judaism as a whole against both Messianic Judaism and Hebrew Roots is the refusal to acknowledge exactly that-the protocol of the synagogue. Nominative Judaism sees Messianic Judaism/Hebrew Roots as “everyone doing what is right in his own eyes,” every synagogue or group doing its own thing, without leadership or authority, often either uneducated, or only partially so, in Judaism, which is anathema to them. I fear this will only be resolved when Mashiach comes. Before the first Messianic Synagogues, a pagan could be subsumed within the other, greater society of Judaism he was joining. Dropping a pagan idol or two for another ‘G-d’ called YHVH was acceptable…odd behaviour, perhaps, but acceptable, because the Greco-Romans viewed godhood very differently than we do. Judaism as a religion used to be honourable within the Greco-Roman society, even envied by some. Jews were perhaps seen as odd, for not accepting the Dualism of the pagans, but honoured none-the-less for their wisdom, and their knowledge, and their success at living. And one or two pagans converting to another religion was not threatening. Jews very rarely persecuted anyone else for not being Jewish, particularly outside of Palestine…they mostly ignored them. Then Yehoshua offered the salvation of the Jews to anyone who would. The mostly ignored little country of Israel suddenly became a stumbling block to all nations, and all people, because Yehoshua meant to bring division, and instigate change. Prophetically speaking, time was up. Everything changed, and is still changing…Messianic Believers are merely aware of the change in progress, and some are very much aware. Prophetically, the time is up again. It is a rare idea to most Christian Churches, and most Christians, who still flinch at the word Jew, and are flustered at the idea of having to wear a gold star on their coat, to think of being actually Jewish…to have all that tradition and solemnity and pervading seperateness in your life, along with the ever present threat of persecution for being seperate. Israel was created by G-d in the idea of seperateness…holiness…to show the world, the universe, that man cannot do life at all well. The Torah is a set of rules that draw a line between holy and unholy, and create a requirement to choose sides. Most Jews have their profession as Jews made for them by their parents. Jews cannot be non-Jewish, even when they convert to different religions, such as Islam, Taoism, Hinduism, Buddhism, Communism, or Christianity. Only Islam even has the idea that a religion can go along with your parentage. Christians, regardless of the last 70 years, have always known that a Jew is a Jew not just religiously, but to the bone, because Abba meant it to be so. Consequently, here is a grimness in Judaism that non-Jews probably do not perceive very often, or at the least, don’t admit to, for non-Jews rarely seem to recall that the nation of Israel was designed by G-d to be a thorn in the side of the remainder of the world. Jews are always aware of this problem. Israel is still a thorn, and time is pretty much up…again. How much longer does this world continue as it is? Probably longer than we think, for YHVH is a patient G-d, but Messianic Believers are very aware that time is up. Jews that become Messianicly minded know that time is up too, or they would not be aware of the prophecies that draw them to Messianic Belief. Christians and other Pagans are becoming aware of the need for Torah Observance despite the knowledge of Grace. Jews, reluctantly, are having their eyes opened as G-d permits to see Pagan and Christian Gentiles turn to the Torah. Those Jews that do not recognize Yehoshua as Mashiach are all the same more and more calling for Mashiach, and Mashiach will come because the Jews are finally calling out for Mashiach to come. The Notsrim came to be in the midst of great persecution, and dwindled into a larger, lesser movement called Christianity that hated it’s separateness, and chose to be less Jewish to be less separate. Once less separate, and less persecuted thereby, they themselves became the persecutors of the Jews. Nearly two thousand years have passed, and Christianity is going to dwindle into the Notsrim again…amidst persecution, and may even be accepted by their Jewish Brethren despite their Messianic Beliefs because that persecution is going to be against seperateness. As the time of Yehoshua’s return draws nearer I have no doubt that the Torah is going to be what seperates those that follow the Deceiver, and those that do not. It will probably not be a matter of degree of outward observance, either…just adherence to the first four commandments. Messianic Believers should be adhering to Torah as the Ruach haKodesh draws them to, as Torah observance it is not a mandatory requirement for Gentiles, but they should be very aware of the cost of their salvation. The Jews already are. The attitude that I experienced is that they truly want to know and serve the G-d of AM Israel, all the while doing it, with a smidgen of the ways of their foreign god, in the mix. Its Melachim Bet 17:7-41, all over again. It is Christianity trying to wear Jewish clothes to make an outward impression only. HaShem gave Torat-Moshe to AM Israel. The Jewish People own the copyright and the patent on Mashiach and his identity and they are the only ones who first introduced him to the world, by the hand of HaShem. It isn’t the other way around, and it never will be. The Goyim have no say is who Mashiach is, was, will be, or what he will do or accomplish. Today however, it almost appears as if the the Christian Messianics have become like Monsanto, claiming the right to produce their own genetically engineered Mashiach. The only problem is, that their “messiah,” is for export only… for foreign consumption only to strangers in strange lands. Israel won’t touch him. Christianity presents a foreign god, calls him “mashiach,” and then attaches to him foreign ways that are completely contrary to the core creeds of Judaism, which is based on Torat-Moshe in Hebrew, not in English. Why do you think the anti-missionaries cannot accept the Messianic Christians here in Israel? It is a foreign god, with a foreign mashiach. They have already gone down the road of serving a foreign god, more than a few times, and they have learned their lesson. Moreover, Torat-Moshe was given to a nation and not primarily to individuals. The Torah never presents a “me” religion. It is always “us — the nation.” If those in the Hebrew Roots movement really want to follow the way of truth according to Torat-Moshe, let them start waking up to the fact that they need to do their homework. That is only done by learning the religion of normative Judaism, the language of AM Israel, and their culture. Unfortunately, at present, those they are going to who are Jews, seem more to promote anti-semitism, or Jewish self-hatred at very least. “Those Rabbi’s are not doing it right! I know better. I follow Torah. G-d revealed this to me. I don’t follow men. I follow G-d.”… This is Korach, Ad nauseam. Observant Jews equate to such as these, as “those who follow the Oral Torah” and that requires them to become rebels against the Judaism of AM Israel. What they don’t know, is that AM Israel does everything for a reason and all they have to do is ask. Clearly AM Israel’s heart and mind, is to get it right this time around, and to do it “as a nation,”. The bottom line, it appears to me that the Hebrew Roots movement thinks Yeshua wanted the destruction of observant Judaism because it represents Oral Torah and not Written Torah. In reading this meditation, I was struck by the quotation from Acts 13… that Luke was writing in a manner that “John” did (in the gospel by that name). He refers to “the Jews.” He talks about them contradicting Paul and slandering him and rejecting the “word” (of the Lord), because of the crowds. Sound familiar? My main concern, the reason I’m pointing this out, is that we shouldn’t conclude (in a strict and textbook grammar) that all the Jews did this and that no Jews there listened in agreement. Again I conclude the term had to do with leaders/rulers. * And what about when “zealous” is used? Same Greek (21:20)? Whether or not it’s the same Greek word, the contexts give very different meanings for what is going on with the people involved. @Ed: I don’t think the sudden influx of Gentiles into the synagogues in the diaspora took Paul by surprise (although it did surprise and even shock just about every other Jew in those synagogues) since he was specifically commissioned by Yeshua (Jesus) to be an emissary to the Gentiles. Also, there are numerous prophesies in the Tanakh tied into the New Covenant that he would have understood to be reaching fruition by the influx of Gentile disciples. This was all part of the plan. But as I mentioned, most Jewish synagogues and their leaders were totally unprepared for the event. In their minds, the New Covenant influx of Gentiles should have been fulfilled by those Gentiles undergoing the proselyte rite and converting to Judaism, not functioning as equal co-participants in Jewish communal and ritual space and even receiving New Covenant blessings while retaining their Gentile identity. The current situation in Messianic Judaism and Hebrew Roots isn’t exactly the same. There’s no Jewish expectation that Gentiles en masse will convert to (Messianic) Judaism and we have Paul’s epistle to the Galatians to tell us that’s not the desirable choice. But the problem of integrating Gentile disciples into Jewish religious space still remains, complicated by two-thousand years of Jewish/Christian emmity and the terrible reputation that historically has attached itself to any Jewish person to converts to Christianity. This is what drives many Messianic Jews to emphasize Judaism rather than face the ugly spectre of being identified as “Christian” and being seen as a traitor (which is exactly how modern Jews consider the Apostle Paul). This is what drives the need for many Messianic Jews to establish primarily or exclusively Jewish spaces with few to no Gentiles involved, to attempt to illustrate that they are fully Jewish, fully observant of the mitzvot, and that this is not inconsistent with the revelation of Moshiach in the identity of Yeshua. These weren’t issues that Paul struggled with because not for a moment was faith in Yeshua considered a “Gentile religion” the way it is today. But the issue we have in common with Paul is how (or if) to integrate large numbers of Gentiles in to a (Messianic) Jewish religious space and have that space remain Jewish. I agree that the issue may remain in “dynamic tension” pending the return of Messiah. @Questor: Prior to the advent of the New Covenant blessings upon the Gentiles and Paul establishing his communities for Gentile disciples of Messiah, you are right, there were two basic ways for Gentiles to be involved in Jewish community. They could attend as God-fearing Gentiles who had a minor status and role in Jewish life but who chose that option upon recognizing that the God of Israel is THE God (although there’s some conjecture that not all God-fearers gave up participation in the pagan rites of the diaspora nations, probably because it was the price of being able to do business). The other option was to undergo the proselyte rite and convert to Judaism, but this wouldn’t have attracted all that many Gentiles, since they would have to sever every tie with their former lives and take on the entire lived experience of a Jewish person, something they had not been born into and a life that required great dedication. Yes, the New Covenant promises of inclusion of Gentiles into their blessings alongside the Jewish nation was a game changer, and while eagerly accepted by most Gentiles (at least within Paul’s lifetime), it was a total shock to the majority of Jews who never saw said-blessings coming in this particular manner. I agree that Jews are still considered Jewish even if they are non-religious or choose to adopt one of the many religious “options” available in our world…except Christianity, which I mentioned in my response above, is a problem. If a Jewish person practices Buddhism or Taoism, they can join a minyan at their local synagogue at the drop of a hat. If they practice Christianity, most Jews no longer consider that person a Jew. That’s the issue (again, as I mentioned above) at stake relative to Messianic Judaism establishing and maintaining exclusively Jewish space. Ironically enough, Gentiles being attracted to the Jewish expression of faith in Messiah is all part of the New Covenant plan. The Torah isn’t designed to create discord and division, but to identify who we are and how we are to live out a live of holiness. It’s simply applied differently for Jews and Gentiles although relative to behaviors related to tzedakah (charity), there is significant overlap. @Adi: I agree that Hebrew Roots congregations labeling themselves as “Messianic Judaism” is something of a misnomer because they tend to reject the vast majority of behaviors and practices that truly define Judaism, apart from some surface appearances. As I mentioned in the body of this blog post, one cannot be a religious Jew, Messianic or otherwise, unless one is practicing Judaism. Gentiles in Messianic Judaism worship alongside their Jewish brethern but do we practice a Judaism? Do Noahides in the other synagogues practice Judaism? It’s a difficult question to answer and one that was probably debated even in the day of the Apostle Paul. ProclaimLiberty’s recent comment to Dan about using the Hebrew term “Goy Mutzkak” meaning “justified Gentile” might be a better option, but we have to be careful and continue to understand that we can have two distinctive people groups be bound together within the ekklesia of Messiah and the conditions of the New Covenant. We are recognizing distinctions between populations but those populations exist within a single, unified container: the body of Messiah. I agree that there’s a lot of confusion and it gets worse once you remove Jewish people and Judaism from the mix. There are a few Jewish people participating in Hebrew Roots groups, but as you say, they are treated as “tokens” and supposedly give their groups an air of legitimacy as a “pseudo-Judaism”. 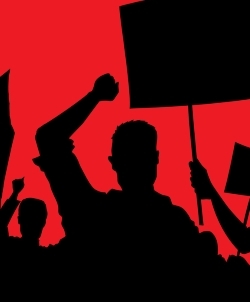 For all their protests against the Church, their fundamental theology is Evangelical, particularly in their attitude toward the Oral Traditions and the continuing authority of the Sages to establish binding halachah upon their communities. If Hebrew Roots groups kept to themselves and chose to apply their own particular rules just on their own congregations, I suppose it would be fine and well. Christianity has an estimated 34,000 denominations. What’s one or two more? But to the degree that they elect to tell the Church that they’ve got it all wrong, and to tell the various Judaisms including Messianic Judaism they’re doing it wrong, too (you wouldn’t believe some of the embarrassing things that some Hebrew Roots people have said and done in the local Chabad and Reform/Conservative synagogues where I live), they attempt to deny Jewish people to establish and maintain their lives within Judaism. @Marleen: One way to interpret Luke’s use of “the Jews” is that he may have been distinguishing them from the proselytes and God-fearing Gentiles, which he also did earlier in the chapter. He also may have been referring to the (local) Jews as opposed to all Jewish people everywhere. I agree that not all Jews rejected Paul’s understanding of the revelation of Messiah, since Acts 21:20 refers to tens of thousands of Jewish disciples of Messiah who were all zealous for the Torah. I don’t know Greek so I can’t answer your question directly, but in other works, I have read that Paul’s use of the word “jealous” in his letter to the Romans can be interpreted as “zealous”. In this case, I think we can interpret it as being “protective” of Jewish religious space, which the synagogue leaders in Pisidian Antioch saw as threatened by the sudden, massive influx of pagan Gentiles. At least the God-fearing Gentiles in attendence knew how to behave respectfully in Jewish communal space. The Jewish leaders probably felt justified in feeling threatened and pushing back. Unfortuantely, they chose to denegrate Paul in the process, incuring wrath for rejecting the revelation of Messiah and the redemptive plan of God for Israel. @James — That “justified gentile” label cited for Adi’s benefit was “goy mutzdak” (not “mutzkak”). However, Adi probably recognized what was intended, since that minor slip of the keyboard on your part should not seriously confuse a Hebrew-speaking Jerusalem resident. However, for Marleen’s benefit and yours, the Greek references translated as “the Jews” are most often references to “the Judeans” as distinct from Jews from other regions in Israel such as Galileans or Idumeans, or from other regions like Samaria or the Decapolis. The term also carried political overtones, which then focuses it on the leadership in Judea such as the Sanhedrin or the Levitical leadership that was often accused in that period of corruption and pandering to the Roman occupiers. In the Acts 13 case, however, it could just as well have referred to some members of one or more of the Pharisaic schools in Jerusalem, who were in this case challenging Rav Shaul’s views much like others had challenged Rav Yeshua some years earlier. James, I have no doubt that Paul was not surprised by the reaction of the Jews to the influx of Gentiles into the synagogue. That misses the point: was Paul’s attempt divine or human in nature? Answer that question, and you have the answer. If divine, which is apparent to me from Romans 11, then those Messianic synagogues chasing out Gentiles, and those who advised you to return to the Gentile church were, and are, going against the will of God. So the question is, divine or human attempt to homogenize? Answer that, and I believe your struggling is answered as well. @Ed — Apples and grapefruit, Ed … The social situation addressed by Rav Shaul is very different from the modern socio-religious situation between Jews and Christian gentiles. Whatever social recommendations Rav Shaul might have been inspired to impress upon his gentile charges vis-à-vis Jews two millennia ago, when Christianity did not yet exist, have very little bearing on modern ones. The eleventh chapter of Romans does not answer this issue in the slightest degree, because it is addressing an entirely different issue to recommend gentile humility in the face of Jewish chosen-ness, which is, of course, applicable at all times (and especially when it appears to be undeserved). Historically, Rav Shaul’s assemblies were populated mostly by gentiles, and were separate venues from the synagogues, while Jewish messianists continued to frequent the Temple and synagogues. The issue of increasing numbers of non-idolatrous gentiles was not that they made any attempt to overcrowd synagogues, but of the reaction of the Roman authorities to these gentiles who were neither Jews nor Jewish proselytes within the legally sanctioned Roman framework of religions that were exempt from the behavioral and financial demands of the (pagan) Roman Imperial cult. This Imperial reaction represented a political danger to the Jewish community which maintained a delicate truce with the Romans over such issues. If you want to invoke a word like “homogenize”, HaShem’s instructions to Jews via the Torah are quite explicit about maintaining the distinction of the covenant. Therefore, any attempts at “homogenizing” are by definition a function of human error. It’s also known by a more modern English term: “assimilation”. And since you invoked Rom.11, just in case there is any misunderstanding about the olive-tree metaphor, gentiles are not grafted into Judaism, nor into Israel, but into a community of faith. This community was Jewish by nature because all its original “natural” cultivated branches were Jews whose faith was based in HaShem’s gift of Torah and His continual protection and rescue of Israel from really severe dangers. Gentiles who therefore began to trust HaShem due to Rav Yeshua were grafted into this community, which thereafter included faithful gentiles as well as the faithful Jews who had long been acculturated to faith as a native lifestyle. This metaphorical grafting, therefore, also does not entitle gentiles to synagogue membership, though it might be expected to result in cooperative ventures with Jews. Ed, you’ve obviously got a bee in your bonnet about something. I take it you don’t like churches. By the way, no one told me I had to go back to church, that was a decision I made on my own after weighing all of the pluses and minuses. I don’t regret the decision, it simply reached a point to where it stopped working out. I really don’t see the association between my experiences in church and Paul’s mission as an emissary to the Gentiles and going first to the Jews to relate the good news of Messiah. How are Christians going to church going against the will of God? I think it was clear that Paul wanted to include non-Jewish disciples in Jewish community as equal co-participants, not necessarily in terms of covenant obligation to the mitzvot, but the covenant blessings of the Holy Spirit, the resurrection, and life in the world to come. Of course, there were portions of the diaspora where there were few Jews so the communities of “the Way” would have been primarily to exclusively Gentile in those locations. There’s every indication that the synagogue in Syrian Antioch was a mixed Jewish/Gentile group, while the gatherings of disciples of Yeshua in Israel would have been primarily to exclusively Jewish. I think we can see that even at the very beginning of the “Messianic movement,” the members of any given assembly reflected the primary population living in those areas. Of course, as I’ve mentioned a number of times before, we are facing circumstances that are very different than those Paul faced for the most part. Yes, he encountered Jewish/Gentile friction within a single community as I believe his epistle to the Romans reflects, but he didn’t have to deal with the two-thousand years of enmity between specifically Gentile and Jewish religious expressions of Messiah devotion; between Gentile-made Christianity and it’s Jewish model, Messianic Judaism. Yes, PL, I had considered clarifying (but forgot to) that what I meant by leaders [then] was political (and about something like pandering, not to mention the corruption of the time). Although references to Jews in Apostolic writing aren’t absolutely always about Judeans, having a government-approved (and somewhat defined) religion means having people who are the sanctioned ones [by Rome]. And plain logic will illustrate that when some people were called “the Jews” they were nevertheless talking to and against other people who were Jews. Sometimes there was simple disagreement, and sometimes it was much more than that. I do — while I said I wouldn’t go in the direction of “one-Law or something like that” — still think there was a lot of behavior Paul wanted gentiles to conform on (not because of “obligation” and not because anyone ever, Jew or gentile, was supposed to keep the Law to stay out of hell) but because it only makes sense to keep a certain environment when Jews are supposed to be at home in the situation (not only gentiles). This analogy isn’t great, but if I kept peanuts out of my house because someone in the family was allergic, I wouldn’t decide I therefore am allergic. Nor would I resent the adaptive behaviour. Obviously, there are food considerations for a Jewish setting. Even more than that, there were considerations the gentiles in Paul’s day should have reasonably been expected to care about in terms of honoring one and only one god. All too often, gentiles read Paul as if he was really telling the gentiles almost nothing was expected of them. And, no, I don’t think what gentiles are to do is follow whatever Paul said (like in terms of marrying or not marrying, slavery, etc.) as the “new” Law so to speak. I think the point is to tune in.